The history of Hollywood is a far cry from the shiny Technicolor stories churned out during the days of the old studio system. The Dream Factory was controlled by the Big Five, which studios owned a significant portion of theaters across the United States. It’s interesting to look back at how the old Hollywood studio system worked compared to today. Studios controlled all things film from the early ‘30s to the late ‘50s, including the lives and careers of screen legends. The system began unraveling when the US government banned block booking, a method of locking down screens through ownership and an onslaught of films. Television stole eyeballs. Agents undermined bargaining power. The Red Scare sparked the Blacklist, and the industry and government overplayed their hands. Another death knell was the Hays Code, censorship that made Hollywood whitewash and water down film content. While it worked just fine for a while, it eventually undermined Hollywood, as European and independent filmmakers made bold storytelling choices that didn’t adhere the code. Audiences filled art house theaters to watch Italian Neorealism, Japanese imports, the cerebral films of Ingmar Bergman, and the beginning of the French New Wave. Old Hollywood stars under contract may have lived the dream, but a lot was expected of them. Studios controlled every aspect of their lives, from marriages to pregnancies. How they looked mattered more than how well they could act. Scandals were handled and buried. Studio abuses went unchecked. But it wasn’t all bad. Tinsel Town historical facts also reveal how screenwriters created the template for American cinematic narrative. The studio system made it possible for writers to transition to directing by helping them understanding camera work and character blocking. The environment of collaboration helped produce countless classic films, including Casablanca, The Maltese Falcon, and some not starring Humphrey Bogart. Let’s look at some old Hollywood system facts and look back on a time where “action” was a command. Five studios emerged from the silent film era of the 1920s to to dominate American cinema. Those studios, known as The Big Five, were: MGM, Warner Bros, 20th Century Fox, RKO, and Paramount. Various other studios and production companies clamored for a piece of the pie. The three others that ate at the big boy table, known as The Little Three, were Universal, United Artists, and Colombia. Jewish immigrants Adolph Zukor, Louis B. Mayer, and brothers Harry, Albert, Samuel, and Jack Warner came to Hollywood when the vaudeville and burlesque circuit began to flag in the Northwest. They owned theaters that attracted working class immigrants and first generation Americans. They chose Hollywood for several reasons. California was as far as they could get from Thomas Edison, who was more than happy to sue filmmakers for patent infringement. They also came for the weather. The warm and practically rainless climate allowed for longer production time, particularly inland from the coast. The terrain mirrored many other national and even international locations, and the light is perfect for filming. The biggest reason they choose film over theater, though, is very simple: it was more profitable. Studios sold films to theaters in blocks. A standard block contained of 20 or more features, one of which was a high quality picture with broad appeal, the rest of which were a grab bag of B-movies of varying quality. Theater owners weren’t fans of the block system, because it ate up the majority of the playbill for the year, but they had to go along in order to get the biggest films each year. In many cases, when theater owners bid on block from a studio, some films included weren't even made yet. Because of this, programmers had no idea how bad a picture might be. What's more, if the final product differed from descriptions provided by the studio, programmers would have no idea to whom the project might appeal and how to promote and schedule it. Theaters were also required to take short films, which were tacked onto features. Block booking was a major impediment to theater owners meeting the taste of clientele. On top of this, the Big Five owned controlling stakes in theater chains, which were exempt from block booking, and therefore would only show the best, most commercially successfully and high quality films. This cut into the business of theaters lashed to the block system. World War 1 exploded the American film industry. The public wanted stories and escape from their lives, yet also craved news from the front, which theatrical newsreels provided. Public demand led to technological advances, while Hollywood’s competition, European cinema, had a hard time getting much done with all the fighting going on. Hollywood stars were a huge part of the war effort during WWII. Bette Davis headed up the Hollywood Canteen, where stars Marlene Dietrich, Rita Hayworth, Clark Gable, Merle Oberon, Judy Garland, Cary Grant, and Mickey Rooney entertained the troops. 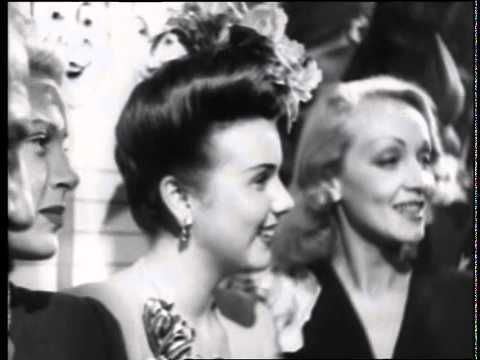 Clark Gable, Jimmy Stewart, Marlene Dietrich, and Leslie Howard even joined the armed forces, and Dietrich was awarded the Presidential Medal of Freedom.